Jolly Rancher Pop-Tarts will soon be hitting your local grocery store’s shelves. 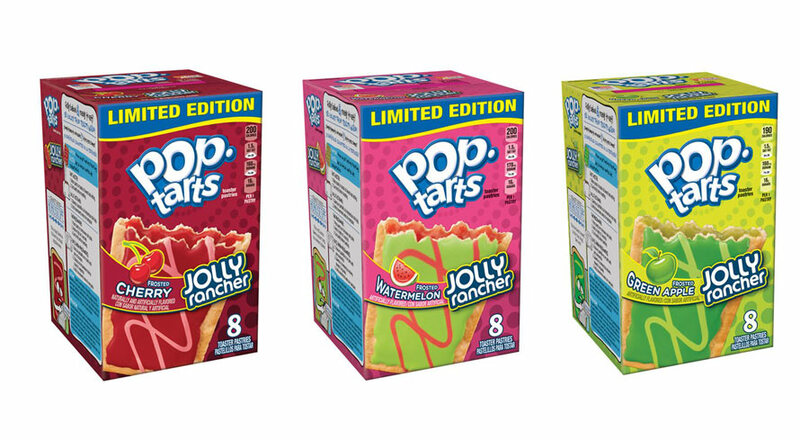 The frosted toaster pastries will come in cherry, watermelon, and green apple. It’s probably the closest you can get to eating candy for breakfast without actually eating candy for breakfast. So there’s that! I’m not saying that’s a good thing or a bad thing, I’m just saying it is definitely a thing.